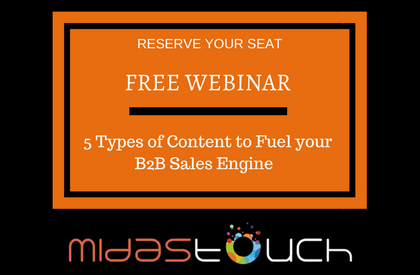 This webinar is for you if you are convinced that B2B purchase decision makers rely on content for making informed buying decisions. But millions of articles on the Internet on content marketing make things confusing. What type of content is right for your business? What should be the strategy and the tactics? How to go about creating content? Who should create the content? Radha is a young and dynamic entrepreneur whose passion is marketing and technology. By creating recognized brands, she helps businesses generate revenue; her method – apply her business acumen to advanced digital and social media marketing techniques. She has led highly creative marketing teams and defined successful go-to-market plans and strategies for multiple innovative, award-winning software products and services.